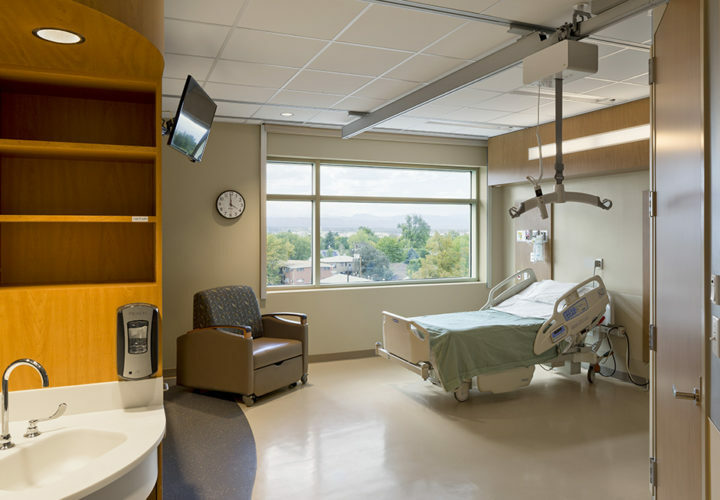 When the new addition opened in August, some patients with spinal cord injury from the previous 3 West floor moved into the new patient rooms on the addition’s third and fourth floor. 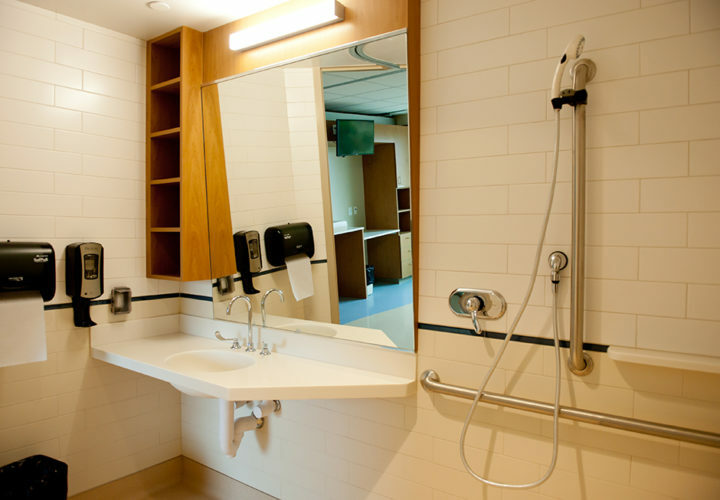 Previously, many patient rooms were double- and triple-occupancy, with shared dormitory-style bathrooms. These shared patient rooms didn’t allow patients and their families the privacy and calm environment they need to rest and recover. These problems have been addressed in the new rooms. Large windows to allow for plenty of natural sunlight. Reinhard says that patient feedback on the new rooms has been very positive. “The rooms promote a healing environment for patients and families, as well as provide a space for our staff to work at their highest potential,” she says. 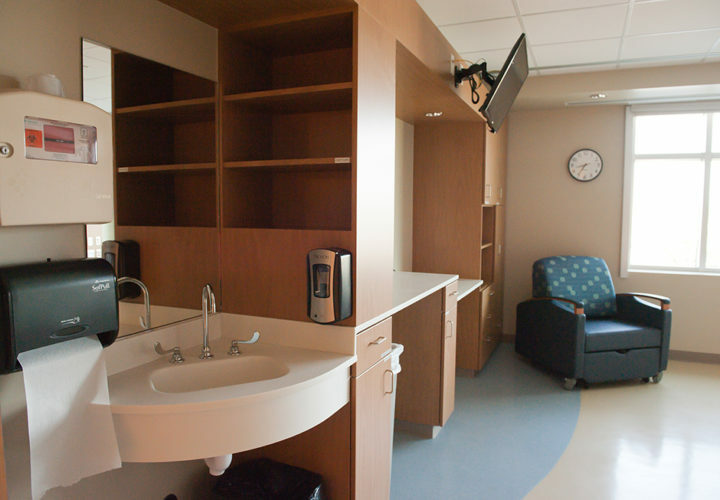 The Craig Hospital Foundation is currently soliciting donors to underwrite these new rooms. For a gift of $100,000 to the Redefining ROI Campaign, the donor may name the room, or choose to honor of a friend or loved one through the naming. These gifts can be paid over three years and may entitle the donor to a 25% Colorado state tax credit through the Enterprise Zone program. For more information about supporting the Redefining ROI Campaign and naming a patient room, contact foundation@craighospital.org or 303-789-8650. 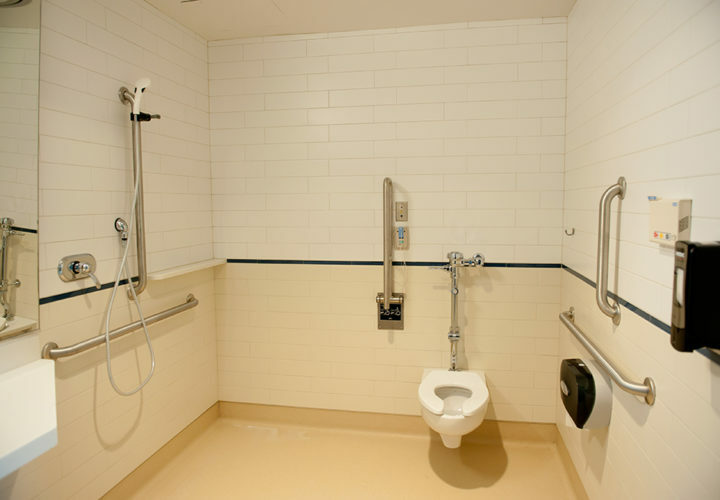 Each new patient room has a private restroom.